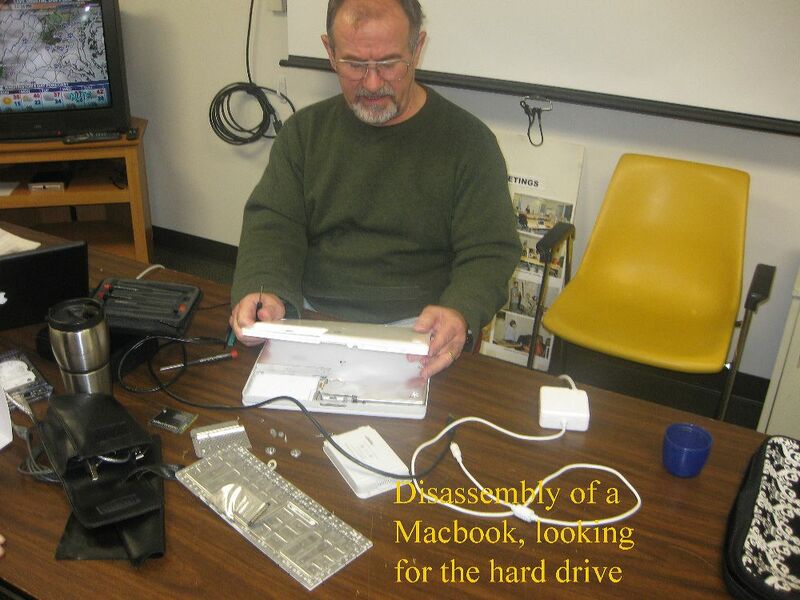 Disassembly of a MacBook, looking for the hard drive. It's gotta be in here somewhere. Clubhouse Saturday, January 30, 2010.